Newcastle has a bicycle taxi service! 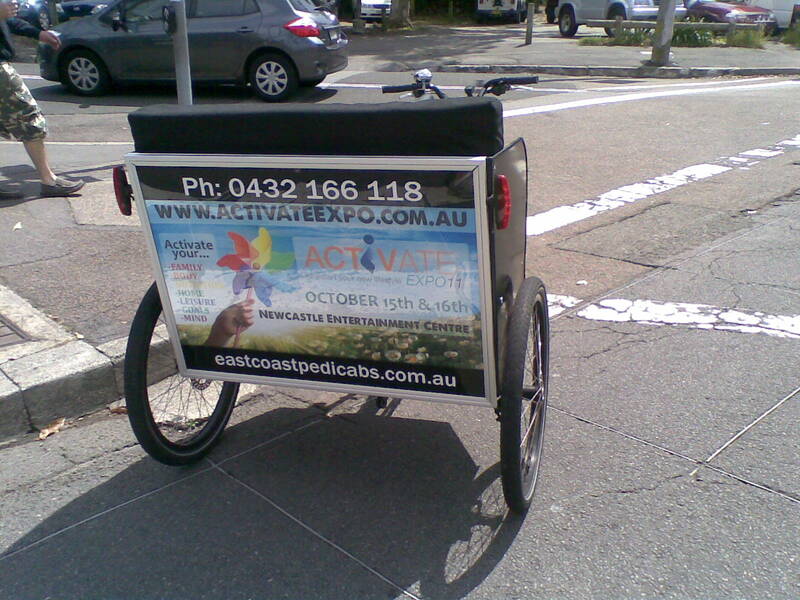 Its name is East Coast pedicabs and it is the rickshaw of Newcastle. 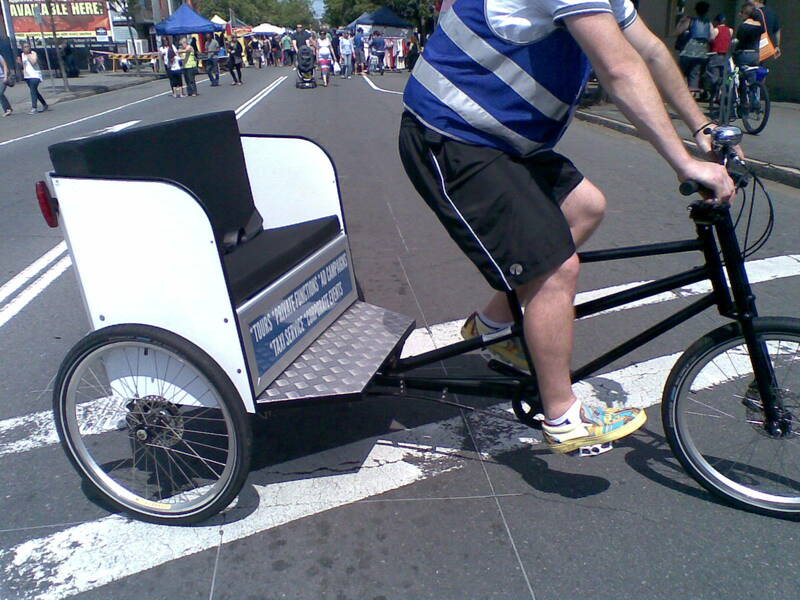 A great way to get around in the inner city or they can be hired for a day trip too. 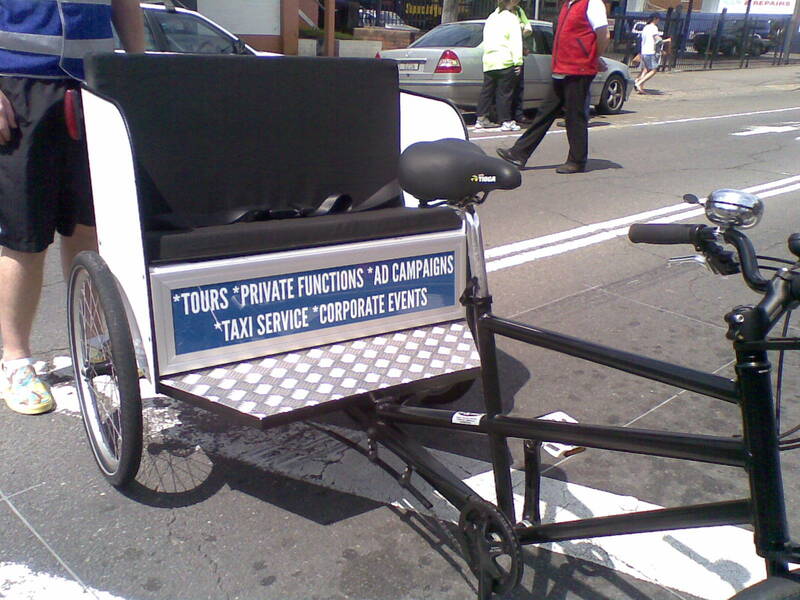 This entry was posted in Newcastle and tagged bike taxi. Bookmark the permalink.